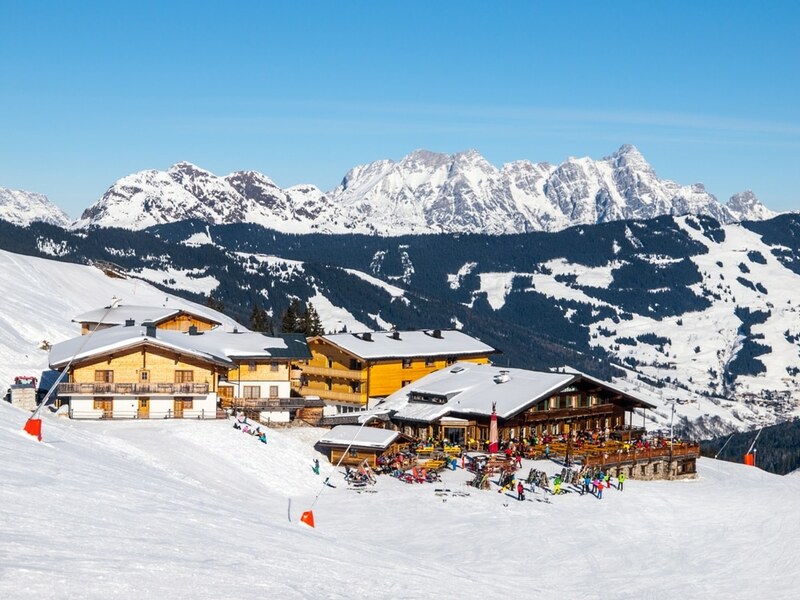 Austria’s Best Ski Vacation Resorts – Sometimes a vacation doesn’t take you to the warmth of a sandy beach – instead, many travelers enjoy visiting destinations where they can partake in snow sports regardless of the time of year. If you enjoy winter sports, Austria is one of the world’s best destinations, fulfilling the promise of spellbinding views, incredible accommodations, and some of the best ski slopes in the world. There’s no end to the variety of Alpine activities, and following are just a few of the area’s most notable resorts and towns. Kitzbühelis is one of the Alps’ most traditional and attractive towns. It has a walled city center that dates back to medieval times and is lined with Alpine storefronts. The world famous Men’s Downhill skiing event occurs here at the Hahnenkamm Slopes. When it isn’t racing season, these slopes are classified as “red”: they are somewhat steep near the top of the slope and are considered within the ability of skiers of an intermediate knowledge level. Accommodations around Kitzbühelis are nothing short of glamorous. The A Rosa Kitzbühelis offers spectacular views and its exterior is that of a castle straight from a children’s fairytale. There are pools indoors and out, seven separate sauna rooms, as well as a Hammam, so when you leave the slopes relaxation awaits. Afterwards, Kaps Steakhouse offers incredible meat dishes. Grand Tirolia Resort lives up to its sturdy name. The property boasts an amazing golf course for summertime visits, and in winter you can enjoy the fireplaces, heated swimming pool and spa. While the individual regular suites are incredible in their own right, the Grand Tirolia Presidential Suite is a whole new level of opulence. This suite has two floors, both of which have an open fireplace, as well as sprawling views of the surrounding mountains and a decadent terrace spanning 463-square-feet. Another, lesser-known town, Solden, sits between two glaciers at an altitude of over 6500 feet, and offers a nearly two-and-a-half-mile ski path with floodlights to allow for skiing at night. While Solden is a relatively small resort town, its vibrancy is adding it to many travelers’ bucket lists. In fact, if you’ve seen the movie Spectre from the Bond franchise, you’ll instantly recognize the Gaislachkogl, a unique building made of glass that juts out over the brilliant icescape. That Bond movie made such an impression on the town that they created the James Bond Experience, which you can peruse during your stay.